Do you like beer? We do! We also love our local breweries. Tomorrow, September 7th, celebrates National Beer Lover's Day and we want to invite you to cherish those sudsy moments. 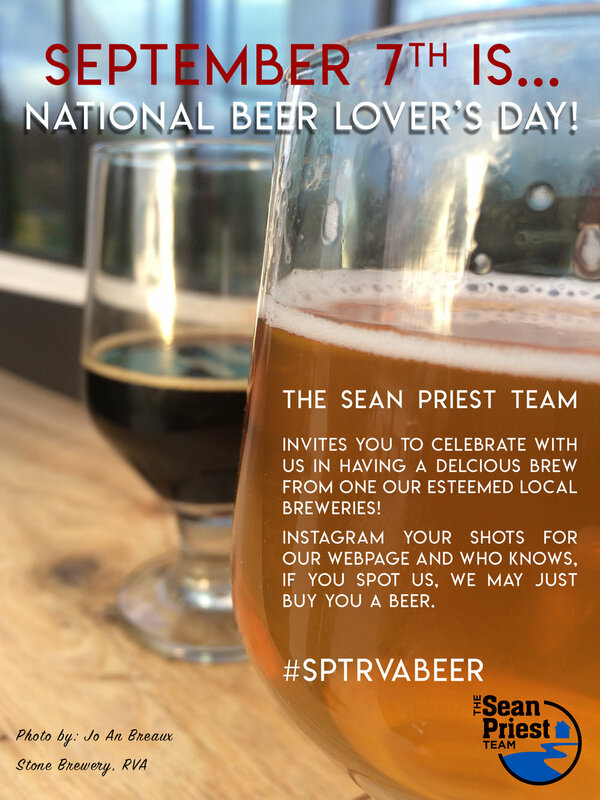 We are encouraging you to Instagram, Tweet, or Facebook your photos tomorrow and hashtag us at #sptrvabeer because we, like you appreciate all it's hoppy goodness. So support your local brewery, here are few for you to check out!